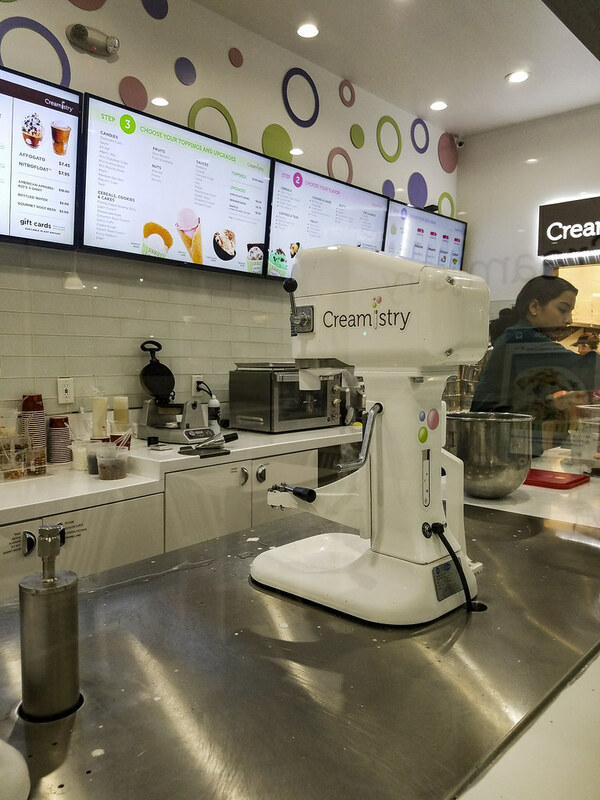 I finally got around to visiting Creamistry—the latest ice cream experience in Downey. It requires a little guidance, you have choices to make. What base you will choose: the creamy, most chosen one, the gluten-free organic option, or a sorbet type of base. Then you need to pick a flavor...while there are not 31 choices, it does require serious decision-making skills. Then, when you think you are done, you next must decide what you would like to add in (nuts, chocolate, cereal, marshmallows, candy pieces, the choices again are varied). 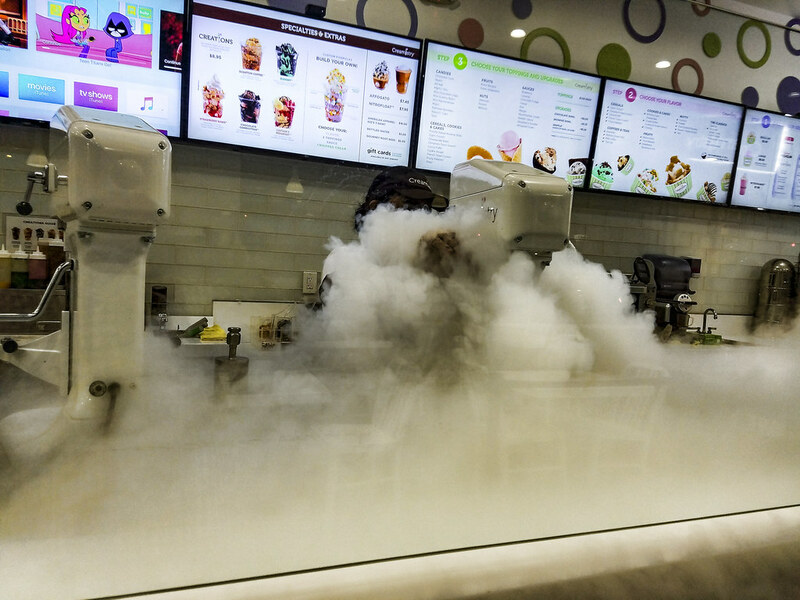 After choosing your add-ins, you have to decide if you want them on top or mixed in, but then you are done with the decision making and ready for the visual experience of ice cream made with liquid nitrogen. I have to admit, mine was delicious, albeit more than I normally spend on an ice cream splurge. 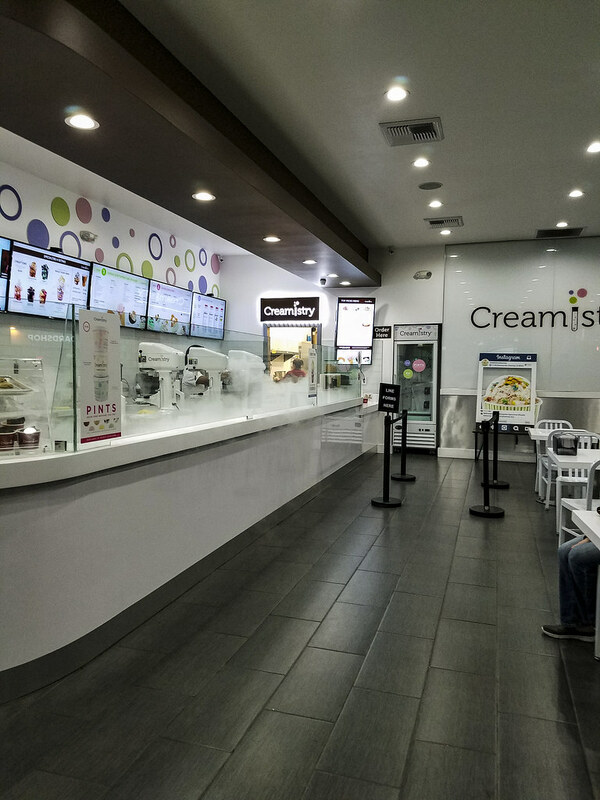 However, I was so excited to get my ice cream, I forgot to take a picture...I guess I am just gonna have to go back at least one more time. "Without ice cream there would be darkness and chaos."